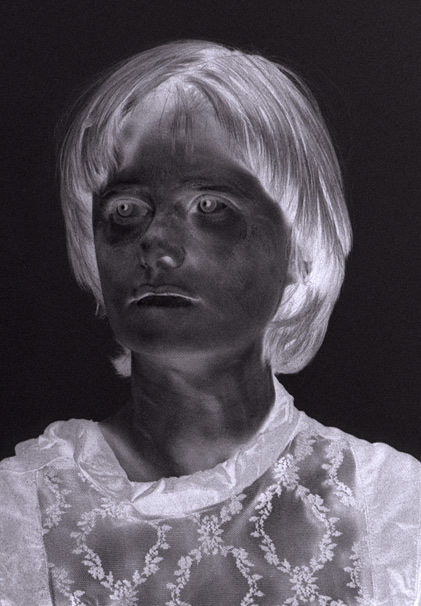 This self-portrait is a combination of positive and negative image. The sitter's appearance is altered before the photograph is taken. This means that the image has been set up or manipulated at source.